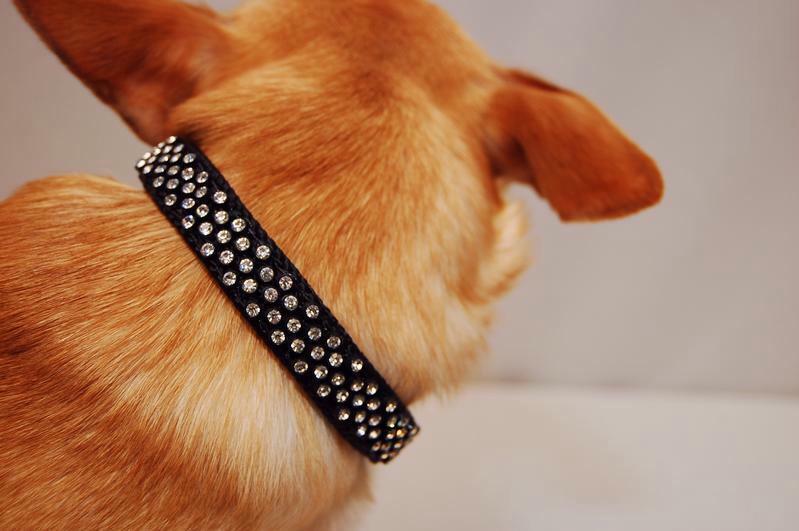 These bezel collars look gorgeous and add even more bling to any puppies wardrobe. 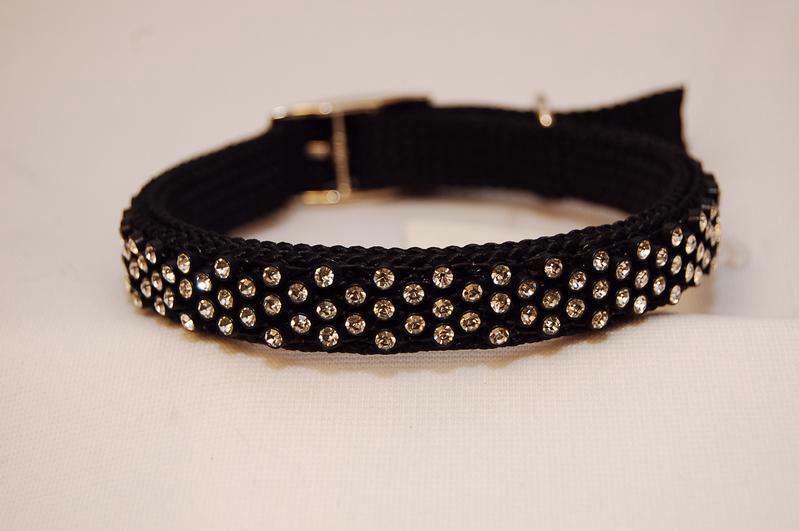 Our black collars come in 3/8 inch wide and have crystal diamonds. 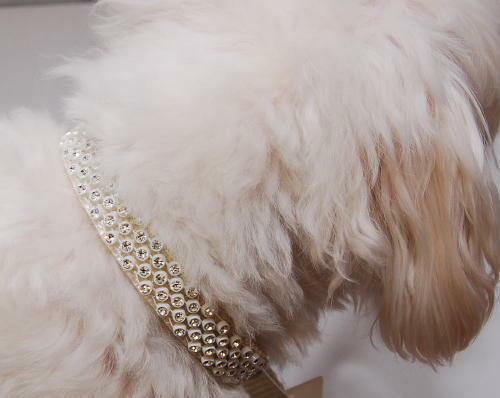 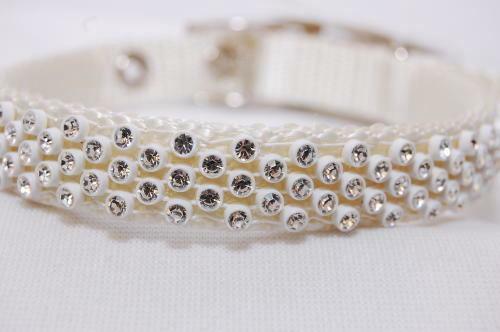 Our white bezel collars feature crystal diamonds and have a flat braided collar and are 5/8 inches wide.